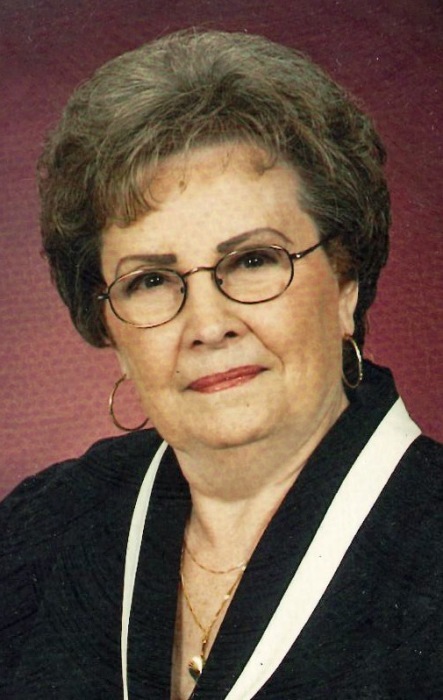 Mildred Louise Rule, age 91, of Greeneville, passed away Monday evening at Durham-Hensley Health and Rehabilitation Center in Chuckey. She was a member of Mt. Hebron United Methodist Church. Survivors include two sons and daughters-in-law: Carroll and Linda Shepard, Dean and Andrea Pence; grandchildren and their spouses: Christopher and Kim Shepard, Heather and Shawn Jones, Michael and Kayla Pence; four great-grandchildren: Austin and Cooper Shepard, Brody Jones, and Zoey Pence; one sister: Sue Ella Waddell; numerous nieces, nephews, step-children, and step-great-grandchildren. She was preceded in death by her husband: Harry Rule; mother: Mary Grace Leonard Cobble; father: Isaac Leonard; four brothers: Sam, Roy, William, and Joseph Leonard; four sisters: Retta Lou Sexton, Clydealea Shepherd, Kate Shepard, and Nancy Laughlin. Graveside services will be held at 10 a.m. Thursday at Mt. Hebron Cemetery. The Rev. Lynn Neas will officiate. Family and friends are asked to meet at the cemetery for the service. The family will receive friends at Doughty-Stevens Funeral Home from 4 – 7 p.m. on Wednesday. The family would like to express their gratitude for the loving attention she received at Durham-Hensley, especially the caring staff of the Hensley Wing and to Dr. Joseph Scott, her personal physician for many years.